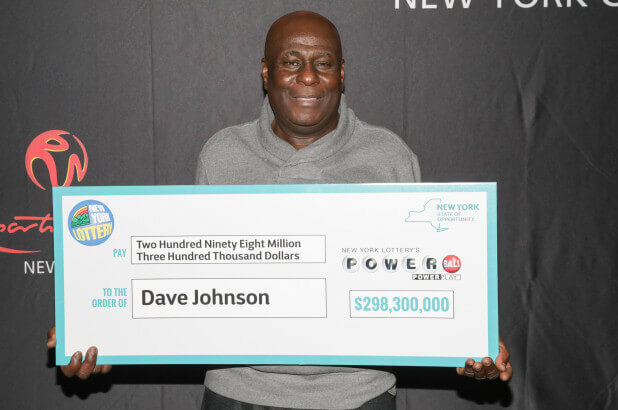 Brooklyn’s David Johnson scored the third consecutive Powerball win for the New York Lottery last December 26, 2018. Johnson, a 56-year-old truck driver, won the $298.3 million jackpot with the winning numbers 5-25-38-52-67 and a Powerball number of 24. His prize is the second-largest Powerball win in the history of the New York Lottery. The win might be considered a fitting payoff: Johnson played games like Mega Millions, Powerball, and New York Lotto regularly in the hopes of catching one of the massive prizes. Now, with his Powerball win, Johnson has opted for the lump sum payment, which totals $180,227,550. Factoring in required taxes, Johnson will be taking home a net sum of $114,091,248. The big surprise comes partly through one of Johnson’s co-workers, who told him that the winning ticket had been sold at Arnold’s Service Station on Linden Boulevard. The shop stands across the street from Iberia Foods, Johnson’s workplace — and it just so happened to be the shop where Johnson buys his lottery tickets.